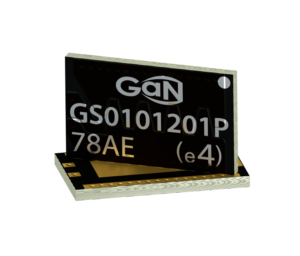 The GS-010-120-1-P is an enhancement mode GaN-on-Silicon power transistor. The properties of GaN allow for high current, high voltage breakdown and high switching frequency. GaN Systems implements patented Island Technology® cell layout for high-current die performance & yield. GaNPX® packaging enables low inductance & low thermal resistance in a small package. The GS-010-120-1-P is a bottom-side cooled transistor that offers very low junction-to-case thermal resistance for demanding high power applications. These features combine to provide very high efficiency power switching.